Your website needs a place to reside ers where it is made available to your visitors. There are many different web hosts to choose from and the right one for you depends entirely on your needs. 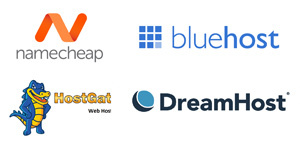 We can help you choose a web host that meets your needs as well as your budget. Isle Cloud Web Hosting is our shared hosting solution specifically for our clients. With various packages, you can choose the hosting package that best suits your needs complete with a control panel so you can manage your web hosting yourself. We can find the ideal host for you if your needs do not match the hosting services Isle Cloud Web Hosting offers. You can also select your own preferred hosting company independently and we will just design your website or web app.